Check out the consumption divergence below. 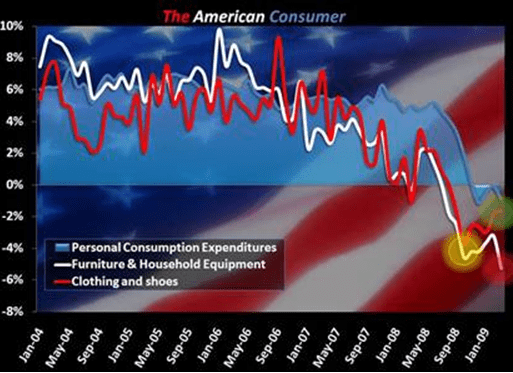 Apparel and footwear continues to recover nicely, but furniture and household equipment flat-out tanked. The soft goods component of the Home category remains strong (BBBY, WSM), but the higher-ticket durables and furniture took a meaningful step-down. There are so many 'what if' scenarios. With tax checks coming earlier this year on top of deferred wardrobe upgrading and an early Easter, perhaps apparel is seeing disproportionate share gain in total PCE. Perhaps beneath all the noise people remain flat-out afraid to spend on high ticket items. Either way, this is something to watch.